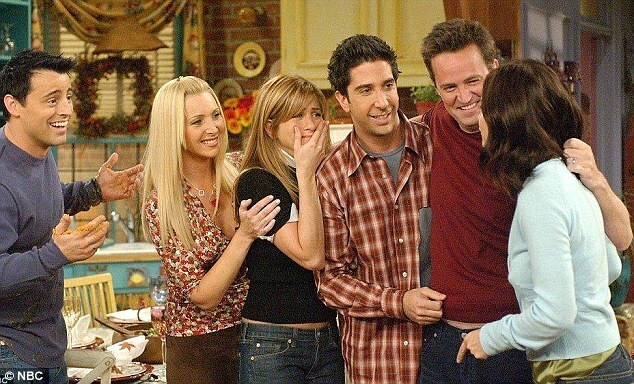 If you live in New York City and are a fan of the TV show Friends, then, these past few weeks have been a dream come true for you. 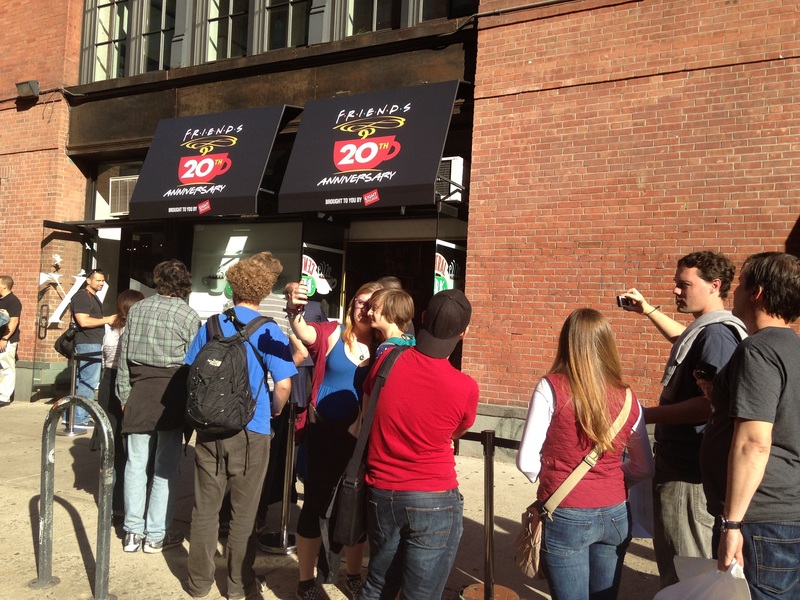 To celebrate the show’s 20th anniversary, Eight O’Clock Coffee and Warner Brothers are running a month-long pop-up Central Perk, the coffeehouse hang out of the Friends gang. Visitors of the famous fictional café can get free coffee and free photos on the iconic orange couch. 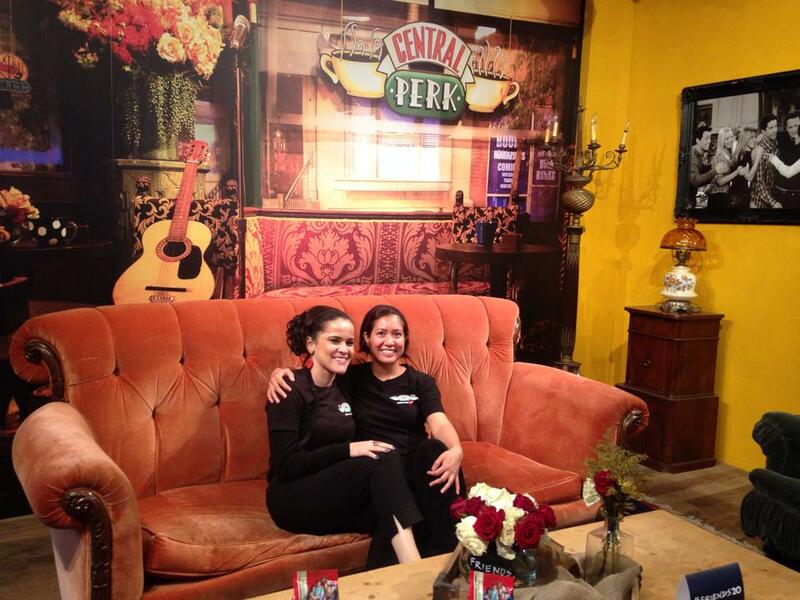 The pop-up coffeehouse also acts like a mini Friends museum, where guests can check out original props from the show, like costumes, autographed scripts, Phoebe’s guitar and the espresso machine. 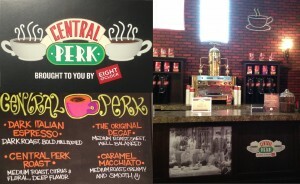 Friends memorabilia are also available for purchase, as are Eight O’Clock coffee bags, including the limited Central Perk flavor, in which the bag is decorated with a photo of the Friends cast. Who wouldn’t buy that, right? 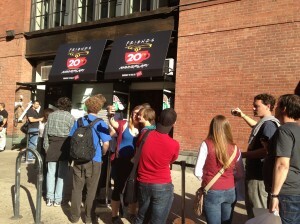 The opening day on September 15 garnered hundreds of local and foreign fans who waited in line for two hours. They all came in with excitement and happiness, like kids in Disneyland. They drank coffee, took photos, bought merchandise, answered Friends trivia and tried to guess the number of coffee beans in the jar. Guests also got to chill by the tables, where they listened to enjoyable music jams from the 90’s and early 2000’s. If they were lucky enough to be there at the right time, they saw Gunther too! I, too, am an avid Friends fan, so I am very thrilled to be working at the café. 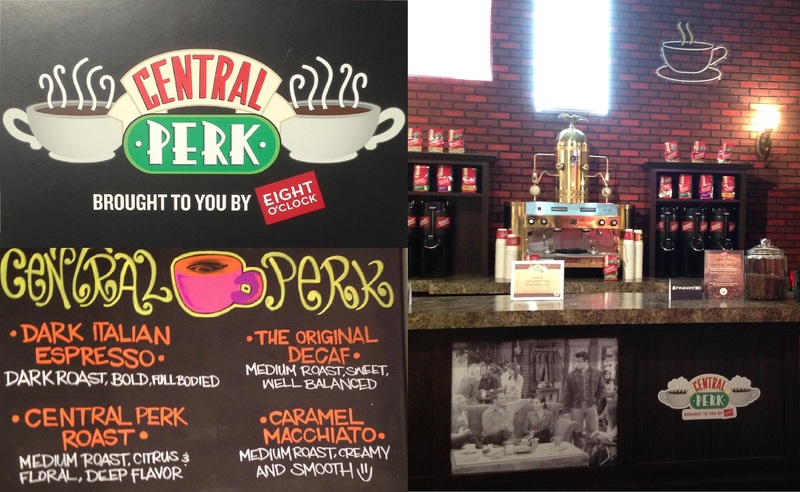 I get to wear a cool Central Perk shirt that says “how you brewin’?” at the back and get to soak in the whole Friends experience. I share one of the guest’s sentiments when she said, “I can’t believe it! Our favorite show came to life!” Yes, it did, and it made me realize why the show is so beloved. Friends made us laugh, taught us about friendship, inspired us to pursue our dreams and assured us that we weren’t alone in experiencing quarter-life crises. It is timeless and universal and will surely be celebrated, referenced, quoted and watched over and over again in the years to come.